Our expanded selection decorative papers is offering inspiration this spring! In addition Japanese Chiyogami and tissue papers . Their beautiful and delicate patterns, interesting textures, and wide variety of colours offer you a plethora of creative possibilities, whether you're making paper art or using it for embellishing your work. Chiyogami, also known as Yuzen, is a Japanese screen printed washi paper filled with delicate patterns. The diminutive scale of the designs lend themselves to small scale applications, such as the paper dolls and small boxes that it has traditionally been used to make. Today, artists use these papers to embellish all manner of projects. For fine art applications, try them in collage and mixed media pieces. They are also ideal for paper and book arts, used as cover papers, linings for envelopes, scrapbooking and cardmaking. The tissue papers in pretty patterns and bright spring tones are a lovely addition to any studio. Watermarking imparts a pattern with delicate appearance and, though the papers are quite lightweight, they are also remarkably robust and fabric-like. The watermarked patterning offers a lace-like appearance and a translucently that works beautifully with mixed media work. As they accept media readily, experiment with watercolours and inks on these papers and see what ideas for your artwork spring to mind! They are great for projects around the home, too, such as lampshades and window coverings. In addition to our new papers, we have a large selection of other decorative and imported papers, including washi paper. Try them for yourself with these project ideas! A fun introductory project with this paper is using it to line an envelope, adding a beautiful surprise for the recipient of a greeting card or invitation. (1) To make a pattern, start with a ready made envelope and open the flap. On a scrap piece of paper, trace the shape of the body of the envelope with the open flap. (2) Adjust this tracing to make the pattern fit inside the envelope, allowing it to easily slip inside the body and to leave the adhesive area of the flap exposed. (3) Once adjusted, use this pattern to cut a piece of chiyogami paper to create your lining. (4) Slip the lining inside the envelope, pattern side exposed. (5) To crease the liner, fold the envelope flap down, holding the line firmly so it stays in the correct position, and press along the fold. (6) Open the envelope and fold down the liner flap. (7) Apply double-sided tape to the back side of the liner flap. (8) Hold the liner flap in place and fold down the envelope flap so it comes in smooth contact with the double-sided tape; press down to adhere firmly. (9) Open your envelope and voila! 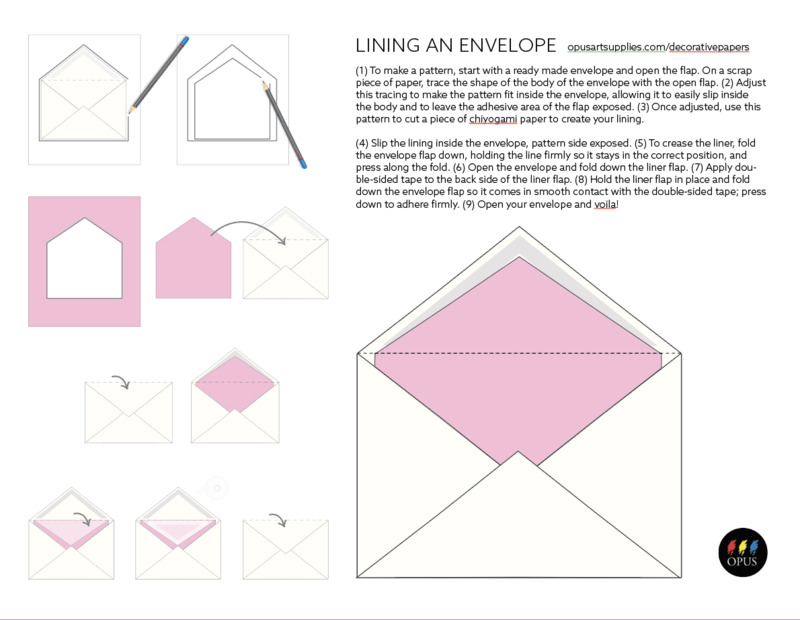 Download our Lining an Envelope PDF for a visual how-to of this project. The delicate beauty and translucency of washi paper allows this substrate to contribute visually to your completed drawing. Washi paper features a different texture on each side, one smoother and the other rougher. The smoother side works well with softer grades of graphite pencil, while soft pastels and charcoal perform nicely on the extra tooth of the rougher side. 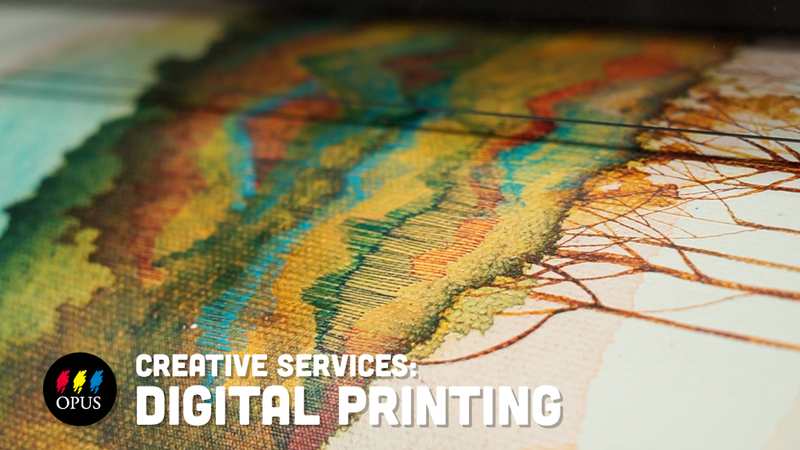 Experiment with wet media too, like watercolours and watercolour crayons, silk paint, fluid acrylics, and inks. Just as the long fibers in this paper prefer a softer media, so they too require a softer hand when erasing to keep the paper surface intact. To lift your dry media, a dabbing or rocking motion with a kneadable eraser will help to keep your paper surface from becoming damaged. Try different washi papers, both for their look and for their surface qualities. Kozuke White or Kozuke Ivory are machine-made and sized. These are student-grade papers made with 30% Kozu and 70% sulphite (tree pulp). Gampi Smooth is made from 100% gampi (imported from outside Japan), a japanese shrub used in papermaking. It is unsized and it's surface features small flecks of "chiri" bark which add a lovely visual element to the paper.